This page contains pictures and information about the Yellow-winged Locusts that we found in the Brisbane area, Queensland, Australia. 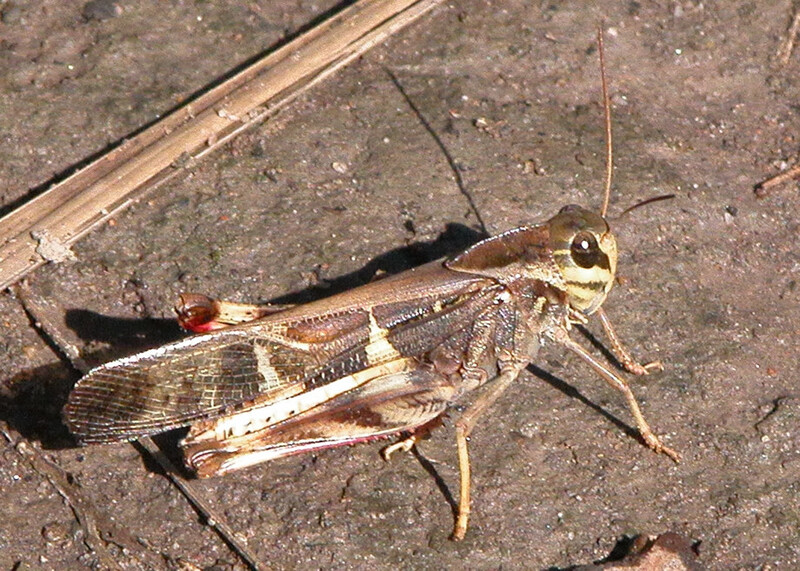 Yellow-winged Locusts are easily found in Brisbane grassland. They prefer grasses of medium height. 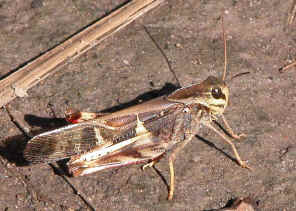 When in flight, they show their back-banded yellow hind wings with loud clicking noise. There are the red marking on their hind legs. 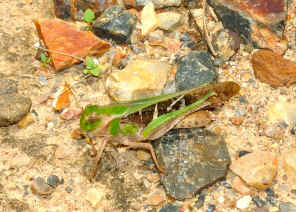 This species has green and brown forms. The second pictures was taken in Karawatha Forest during early winter. A lot of them were found there at that time. 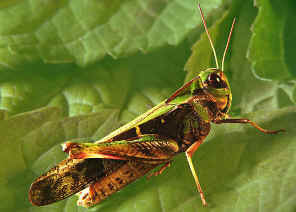 They display the bright lemon-yellow wings on flight. 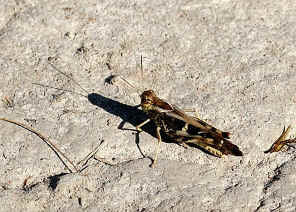 Near the Old Quarry in Neville Lawrie Reserve Area, many of the Yellow-winged Locusts can be easily found there all year round (except mid winter). There are the brown and green forms. They were very alert to our approaching, seldom let us came close within one meter. They always flied to about ten meters away and rested. 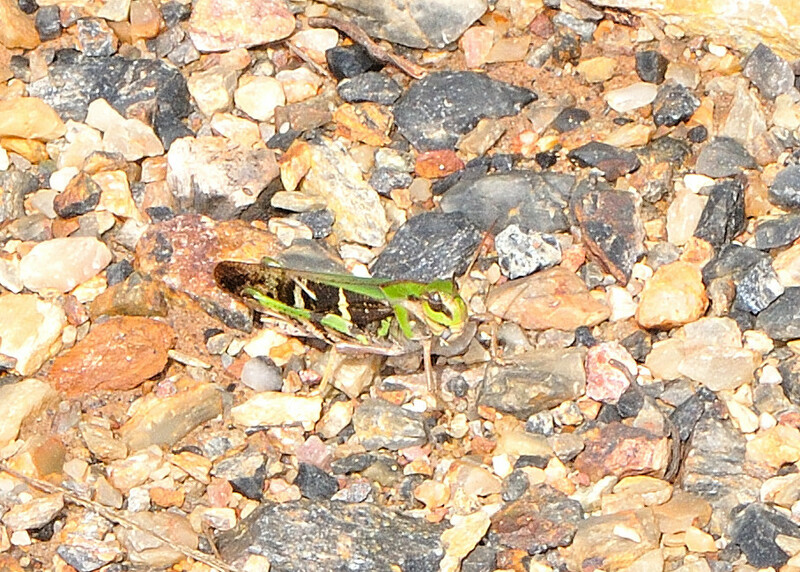 We chased after them then it flied to another ten meters away, seems never tired. After a few chasings we always mixed it up with another individual and started a new chase, until we got tired. We had never get close enough to take a good photo yet. 2. 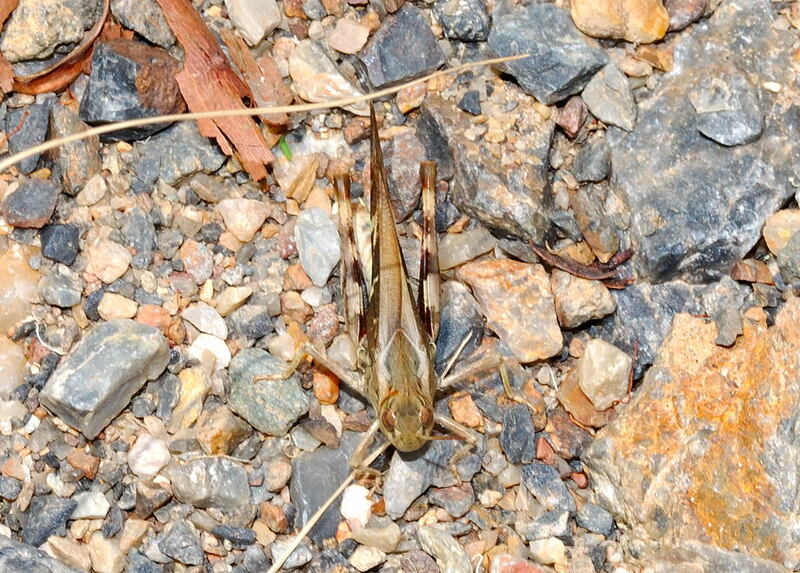 A Guide to Australian Grasshoppers and Locusts - DCF Rentz, RC Lewis, YN Su and MS Upton, 2003, p358. Last updated: July 07, 2011.